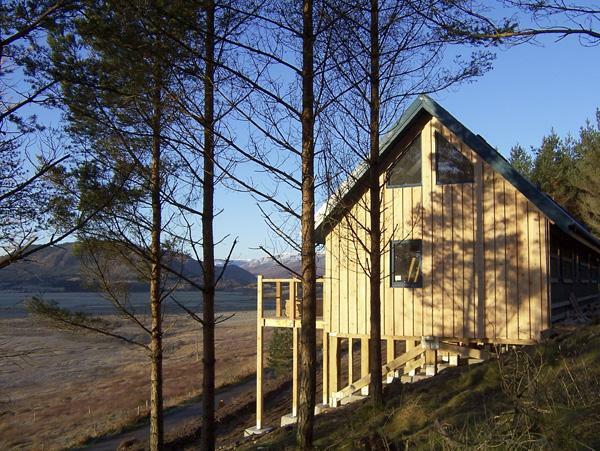 A cottage and 3 cedar lodges at Arisaig on the West Highland coast, each sleeping up to 4 or 5 plus baby. 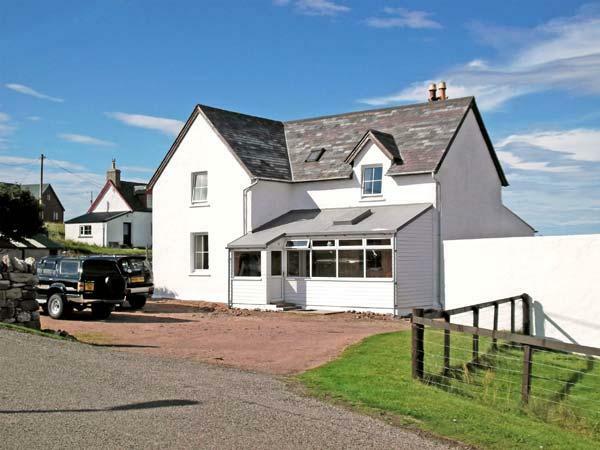 In a stunning location, with open, panoramic views across the sea to the islands of Eigg, Rum and the Cuillin mountains on nearby Skye. 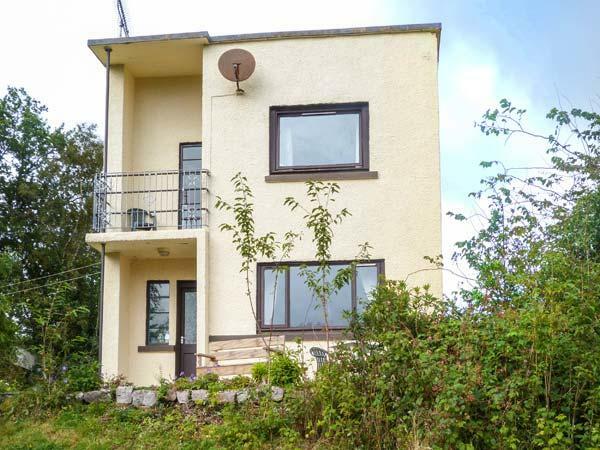 Sauna, Games Room, volleyball, play area, Wi-Fi internet access. Boat trips to the islands, golf nearby, sandy beaches, kayak hire, great walks and wildlife, mountains and lochs. 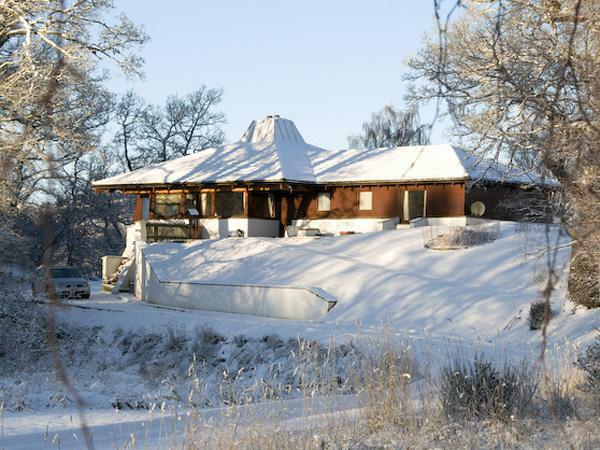 We've been holidaying at Ach na Skia for several years now, and every time we've loved it more. The view from our window is inspirational, and the light on the landscape is stunning. On a clear night the sky is a mass of stars! There are golden beaches to explore, wonderful walks to enjoy,and the trips to the Small Isles of Rhum, Eigg and Muck are a 'must' on the 'Sheerwater', which will take diversions on the crossings to view a wide selection of wildlife, from minke whales to otters, dolphins and seals. The birdlife is amazing - we even saw a Golden Eagle on Eigg! The owners, Sheila and Mike are so friendly and very helpful, and the log cabins are clean and comfortable. It's a real home from home on the magnificent west coast of Scotland! The Cottage is so comfortable and the view from the kitchen amazing. I will miss eating my breakfast gazing out across the bay. Our trip to Eigg and Rum will remain with me for a long time. The scenery and the wildlife were stunning – sheerwaters, eagles, seals, porpoise ... amazing! At night we used a bat detector -we saw loads of bats outside the cottage. The best way to celebrate my 40th. Birthday! This has been an absolute dream holiday; beautiful scenery, peace and quiet, perfect beaches and a wonderful, comfortable cottage to come back to. Everything was beyond expectation considering it was the first holiday we had booked online. The location is stunning, the views from the lodge (we stayed at Island View) were amazing, especially in the evenings. 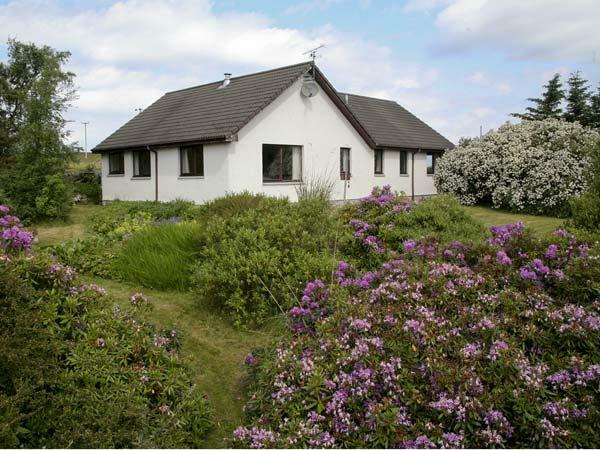 The cottage is in a superb location - wonderful views and amazing sunsets. We were just so lucky with the weather and not a midge in sight! There's loads to see and do in the area - we'd have loved another week! Make up of party: Although there were just two of us, it would have been fine for 4. 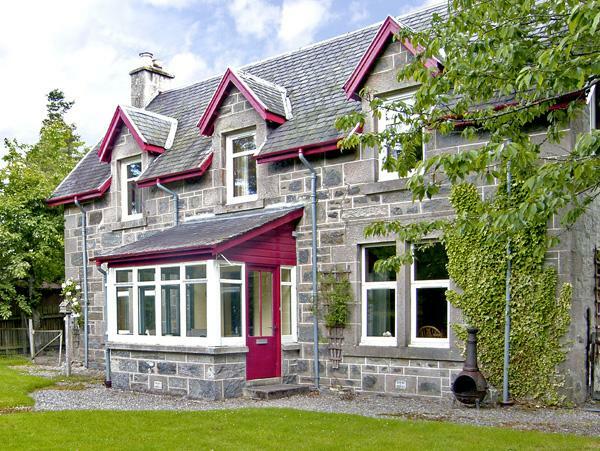 The cottage is situated in a calm and very beautiful region. 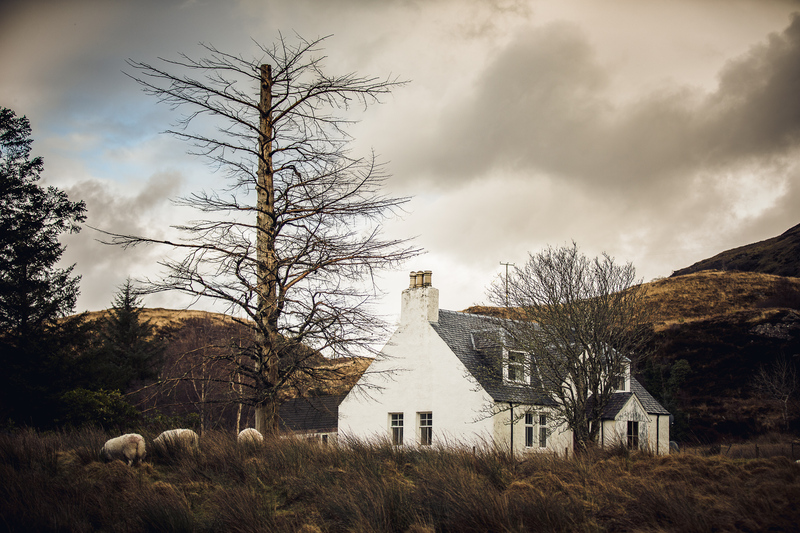 From the location you have a fantastic view to the isles Skye, Egg and Rhum. The House had a modern and comfortable equipment. Akk what you need you can buy near the places of Arisaig or Malaig. The owners are very friendly and allways willing to help. Because all of them we were staying three times in Ach na skia Croft about several weeks during different seasons. 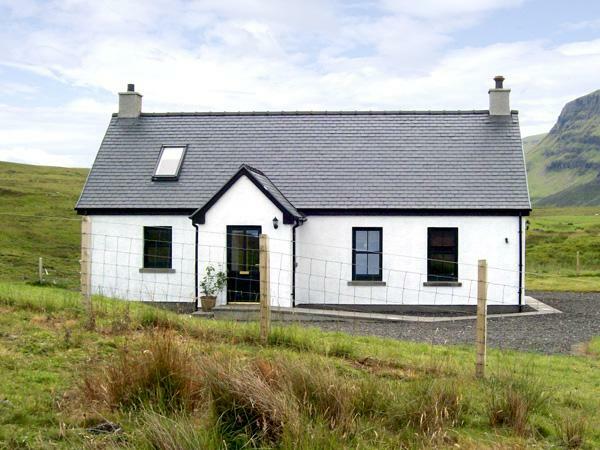 Allways ist was a fun to stay in Ach na skia Croft. Fantastic view,lovely peaceful location.Lodge very cosy and comfortable.Swing and slide next to lodge was a great touch and kept our toddler happy whilst we soaked up the wonderful view.Will definitely be back. Why do we allow owners to add reviews? 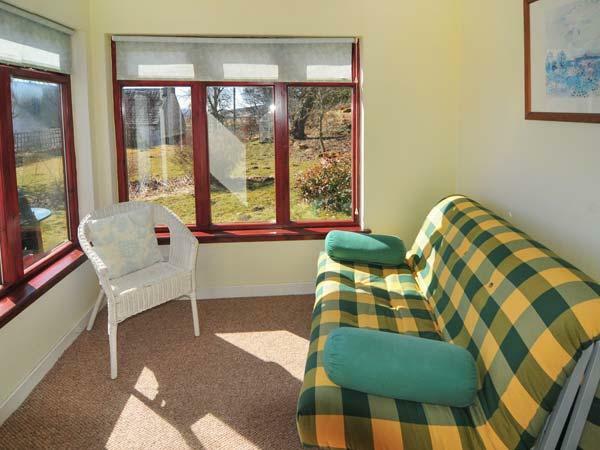 Cottage Review: Cottage very comfortable - beautiful views. .
Hi-lights - restaurant at top of hill, lovely food. Boat trip to Eigg, little drive around Ardnamurchan, walk around Loch Morar all very nice. Lovely spot. Cottage Review: Beyond our expectations! Ach na skia Croft and its surroundings are a piece of Paradise. See you again. .